This delicious recipe I got from my cousin Carol, years ago. It is so quick, easy and delicious. And the dill gives it a different twist. Great for a luncheon, side salad, on top of all types of sandwiches and my favorite....fish tacos. Oh yeah....dont forget those pulled pork sandwiches!! Go ahead...make it and let us know how your family enjoys it. Not much else to say except throw all the ingredients in a large bowl and mix it up well. 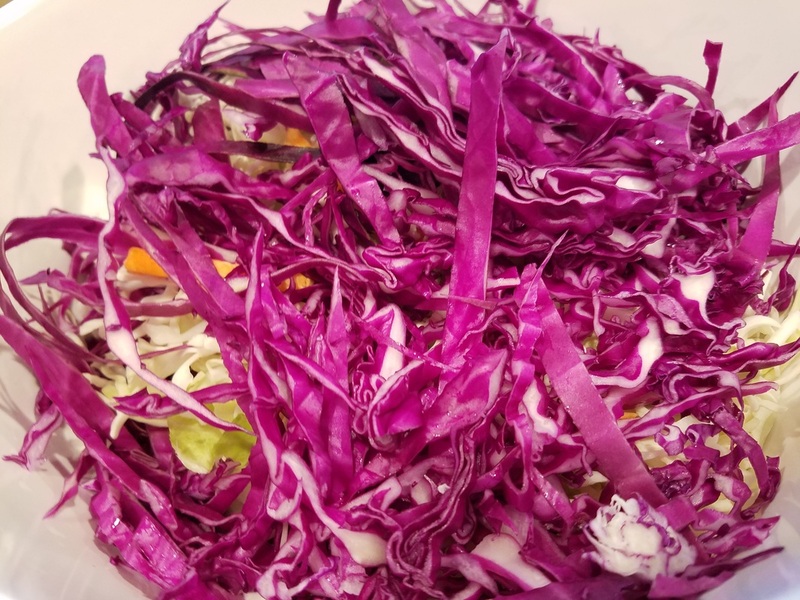 I could not find preshredded red cabbage today in the store so I bought a small head and shredded it up. That is it!!! I suggest you do this a couple hours before you are ready to serve to give the flavors a chance to develop. But how simple was that. It is gorgeous and delicious!!! ENJOY!!! !